Our mission is to provide you with the most up-to-date software solutions along with real time network support. Your business’ IT worries will no longer be yours, as we will take care of all networking, website designing, and support. Kelly Systems’ techs will continue to provide IT support even after their tasks are complete. Our applications are built with your specifications, so we will always do what you need & expect an application to do for your business. We can maintain your system remotely, so that your local network is always available to you. Whether you need custom software development or manufacturing specific systems and data integration, we have what you need at prices you can afford. At Kelly Systems, our guarantee is to provide you with courteous, expedient, and professional service of the highest caliber. Kelly Systems is owned and operated by Kevin Kelly of Hot Springs, and has been serving the manufacturing and small business community since 1994. 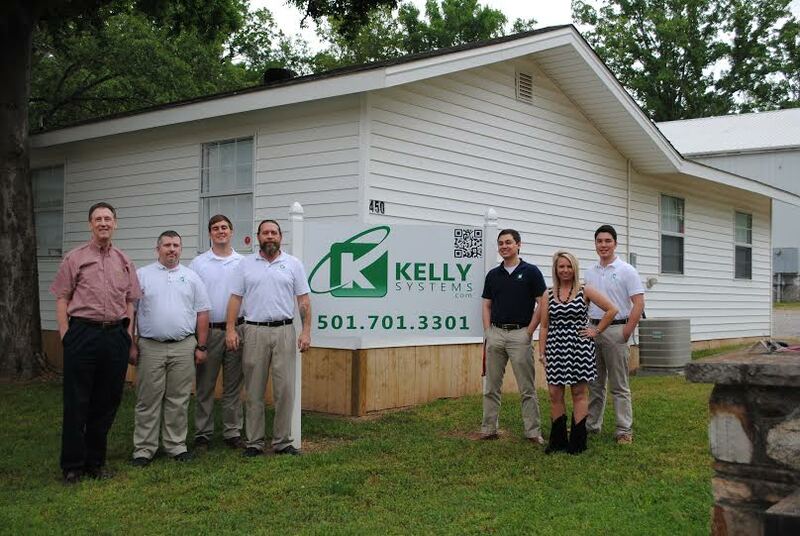 Located in southern Hot Springs, Arkansas, and a satellite office in Little Rock, Kelly Systems is the IT support provider of choice for small and medium businesses all over the state. We have clients ranging from Bella Vista all the way to Texarkana, and everywhere in between. We offer backup support, PC and server support, IT consulting, IT outsourcing, help desk services, and disaster recovery, to website design, CIO level consulting, management system services, and many other IT services. All of our IT Support plans are customized to fit your individual business needs so that you can worry less about IT and spend more time running your business. Small and medium businesses can fare well in today’s tough economy by outsourcing their IT to Kelly Systems. Kelly Systems is owned and operated by Kevin Kelly of Hot Springs, and has been serving the manufacturing and small business community since 1994. Our technicians can work either remotely or on site for your IT needs. We will get our job done out of the way while your business operations continue. If any issues with your network or computer systems arise after business hours our techs have the ability to remote into your PC to fix the problem. Our depth of knowledge in information systems will move you ahead in your market. We currently serve pharmacies, banks, churches, lawyers, real estate agencies, hospitals, and many other business types.